I love winter time – the cold, grey days give me energy … I know, I’m strange! One of the things I love is making delicious comfort food that warms and fills you up. I love that I can cook huge quantities of soups, curries, stews and casseroles that are packed with veggies and freeze them for easy meals. This is one of those meals. 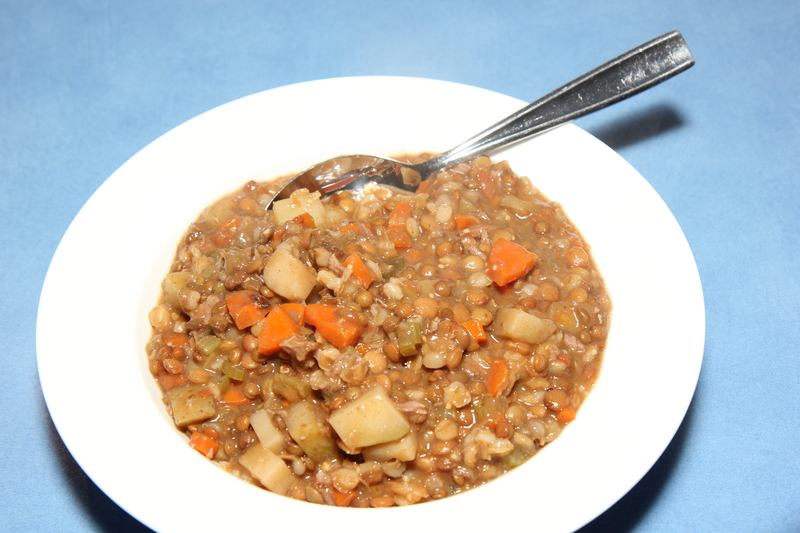 It is quick and easy to make (about 10 minutes to start and another 5 later), is really cheap – about $8 for the entire 6L pot and the left overs freeze and defrost really well. 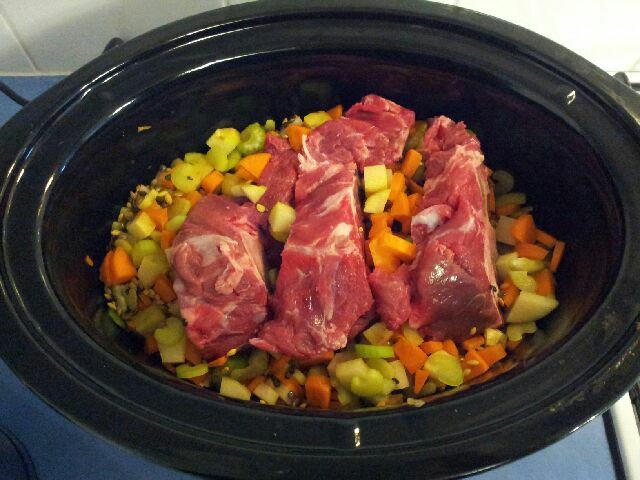 Mix all of the ingredients together in the slow cooker and fill with water to cover. Place lid on and cook on low for 8 hours. 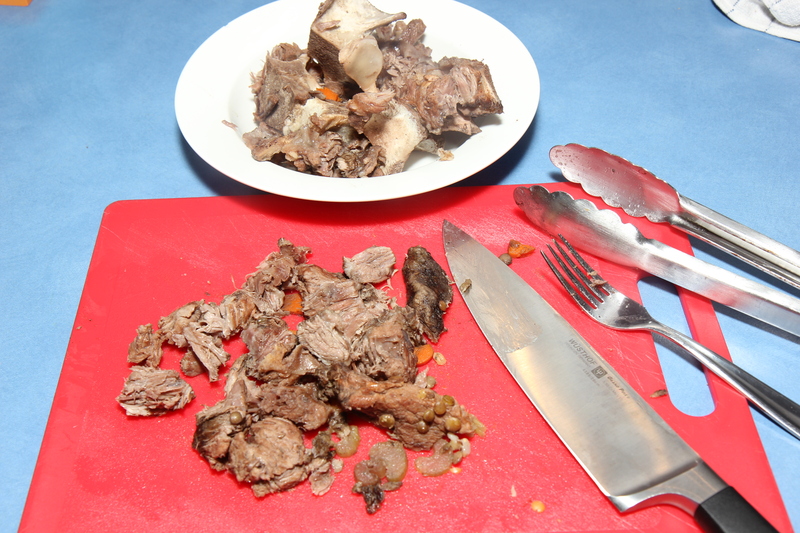 Remove beef bones and strip the meat. Remove sprigs of thyme. Dice the meat up and return to the pot, stirring well. Add salt to taste.